Paulini Liku does not need to draft a shopping list during her shopping days. To her shopping was always a moment of joy, a moment where she’s able to spend time alone and enjoy the day. However, to ensure she does take her time in the supermarket to browse through the entire shop, Ms Liku plans to visit New World Supermarket when it is always least busy. “Sometimes I bring my list, but sometimes I don’t,” Ms Liku said. Ms Liku said preparing a list was good however in her case; she usually did smaller amounts of shopping therefore not necessarily needing her to prepare a shopping list. “The list is good but for me, I prefer not having a list and it is more suiting to me,” she said. Paulini said that her shopping routine had become so efficient that she would never end up over-spending without any lists. One of the important factors she decides on while choosing a shopping destination is its location and for her she chose to shop at the nearest supermarket. 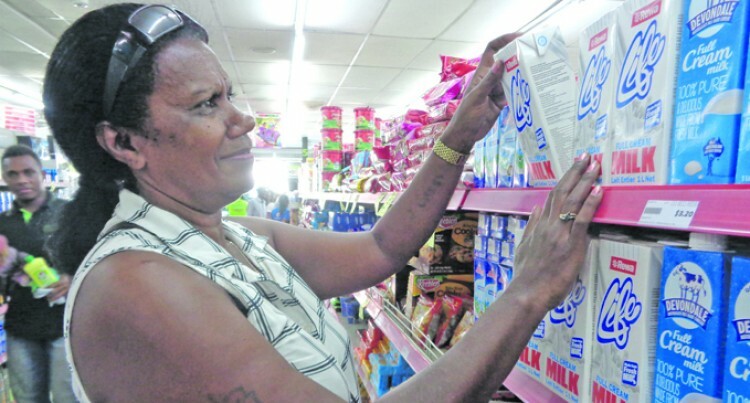 “The supermarket I choose is very close to the market, so I am able to do my marketing and I’m able to carry my groceries to the bus stand,” she said. Meanwhile, Ms Liku’s weekly shopping includes cabbages and tomatoes, lettuce and celery. “Healthy living is very important and people should include it in their shopping. Do not buy snacks and, instead buy fruits and vegetables,” she said. Paulini also said that walking around the store and choosing between the different products was something that she liked. She said that increasing prices had been quite a concern for her family. “Sometimes we can’t afford to buy everything we need,” she said. However she was always drawn towards products on specials and would definitely choose to buy should the family require it. “I definitely look for specials on the items,” she said. She lives with her husband and two children whereby one is attending primary school and the other in high school. Ms Liku added that customer service in any shopping arena was important for a shopper.